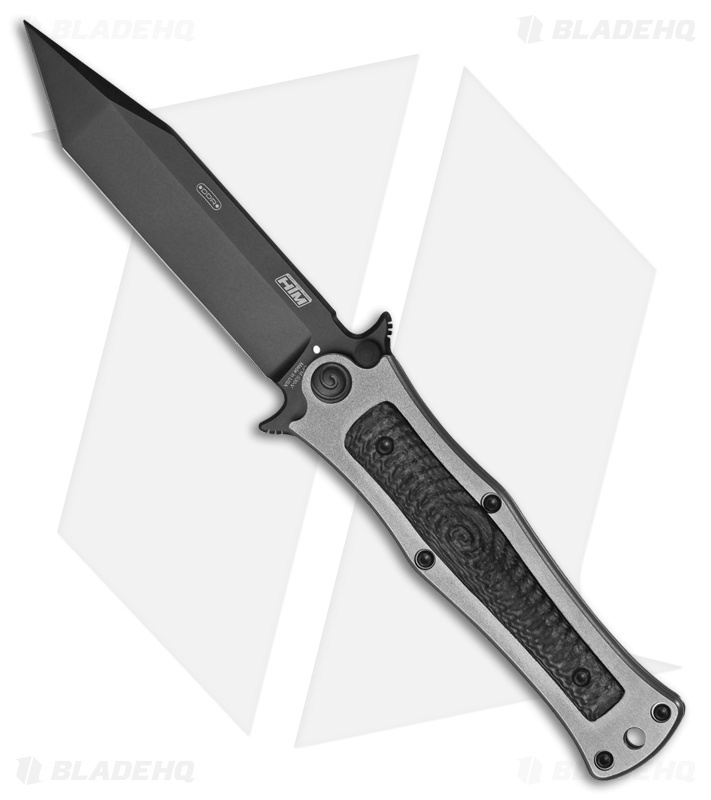 This Madd Maxx model has a 4" black DLC finished tanto blade and a titanium frame lock handle with a black micarta inlay. The Madd Maxx from Darrel Ralph is a spring assisted knife for tactical and EDC use. It has a black DLC finished blade made from premium CPM-S30V stainless steel. The blade opens ambidextrously with flipper guards and dual thumb studs. It has a 6Al4V titanium handle with a 3D machined micarta inlay. The swirl coin pivot adds a nice touch to this classy and iconic knife. Item includes a black padded nylon pouch.